Following the exhibition of French Impressionism organised by the art dealer Paul Durand-Ruel in New York in 1886, American artists began to deploy the new brushstroke, brilliant colours and fleeting effects characteristic of the French movement, and many of these artists decided go to Paris in order to become acquainted with it at first hand. 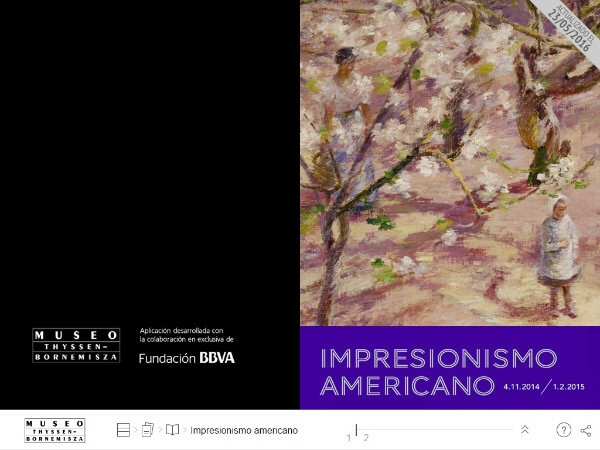 This exhibition will be the first in Spain to focus on the spread of Impressionism in the USA. Its curator, Katherine Bourguignon, curator of the Terra Foundation for American Art Europe, will make use of the approximately 60 paintings in the exhibition to analyse the way in which American artists discovered Impressionism in the 1880s and 1890s and the particular interpretation of this style that they developed around 1900. The exhibition will first be shown at the Musée des Impresionnismes Giverny in the spring of 2014, then at the National Galleries of Scotland (Edinburgh) in the summer, and from November at the Museo Thyssen-Bornemisza, Madrid. 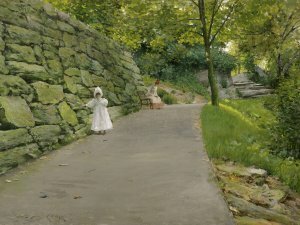 This exhibition is organized by the Musée des Impressionnismes Giverny and the Terra Foundation for American Art in collaboration with the National Galleries of Scotland and the Museo Thyssen-Bornemisza.